Hiring? Toptal handpicks top Bitcoin developers to suit your needs. Bitcoin created a lot of buzz on the Internet. It was ridiculed, it was attacked, and eventually it was accepted and became a part of our lives. However, Bitcoin is not alone. At this moment, there are over 700 AltCoin implementations, which use similar principles and various cryptocurrency algorithms. The blockchain contains the history of all transactions performed in the system. 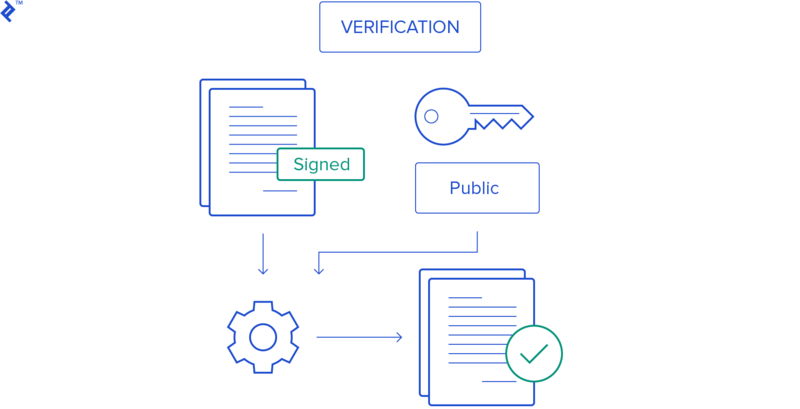 Every validated transaction, or batch of transactions, becomes another ring in the chain. Every single blockchain development company relies on this public ledger. A cryptocurrency is a digital medium of exchange that relies on cryptography to secure and verify transactions. Most cryptocurrencies, such as bitcoin, are decentralized and consensus-based. 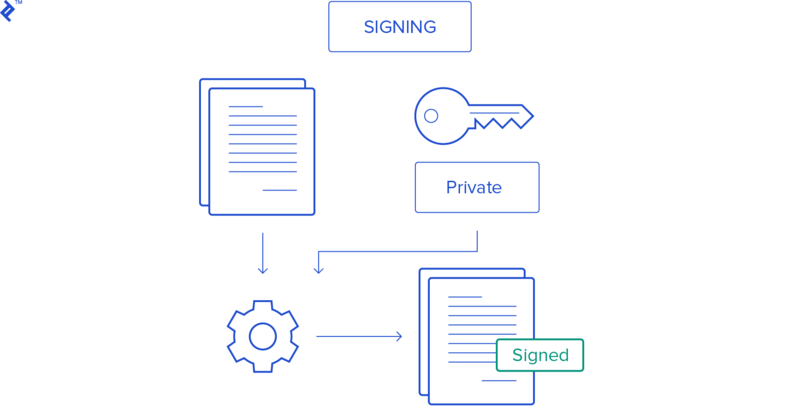 A blockhain is essentially a digitally-signed financial ledger. 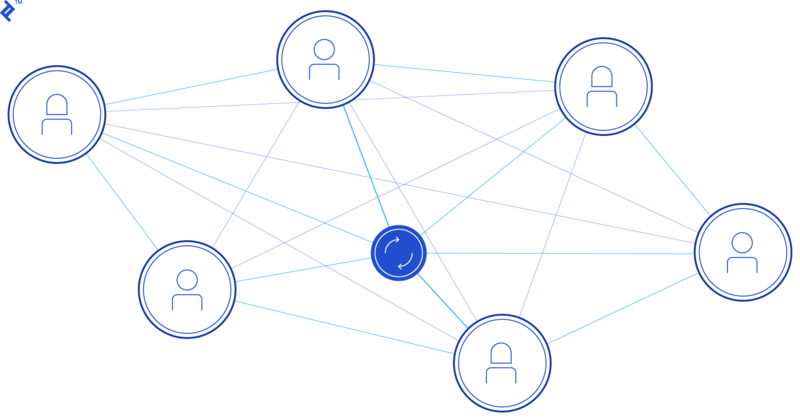 Each transaction on the blockchain is visible on the public ledger, and all entries are distributed across the network, requiring consensus about each transaction. 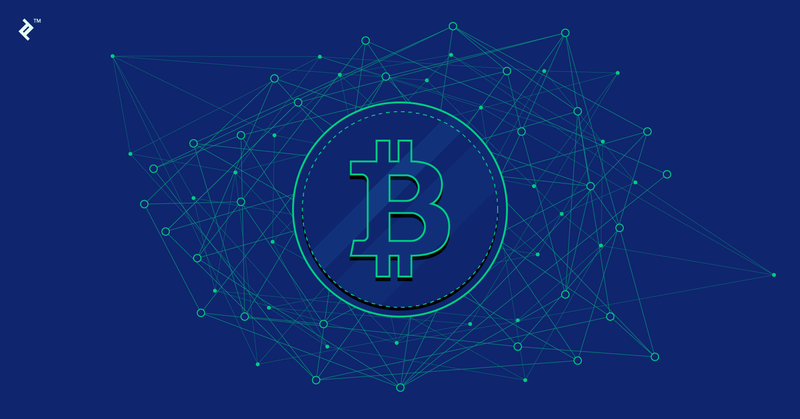 Each transaction executed in the system becomes part of the blockchain, but only after a certain number of nodes reaches a consensus that the transaction is valid. Then, the transaction is added to the blockchain in a new block. This was a great explanation of how bitcoin works. But, I still dont know on what its value is based on. I mean how its determined that a specific amount of such currency is worth this much? Nice article, and great illustrations! However, how does one "earn" virtual money? And how is it related to physical currency? Value of any currency is a matter of more complex economics related to it's use. Bitcoins are even less valuable than the paper bills and "real" money, considering that Bitcoins are just digital information and paper bills had to be printed. Value comes from the items related to actual coins and what they represent. Easiest way to earn Bitcoins is to have someone pay you in Bitcoins, just like you would get paid in any currency. Relation between any two currencies, including Bitcoin, in simplest possible explanation is "how much of some goods can you buy in Bitcoins vs other currency". You can always check http://www.coindesk.com/price/ to check latest status. Hi, great article :) I think I don't fully understand the part of mining and the "proof-of-work" part. You wrote: """Once your account balance is confirmed, they will generate a specific HASH value. This hash value must have a specific format; it must start with certain number of zeros.""" So, a miner receives a transaction record data, confirms somehow the balance of the user, and generates a Hash. """ There are two inputs for calculating this HASH value: 1. Transaction record data 2. Miner’s proof-of-work """ So, the miner has to find, *for each transaction*, a numerical "seed" that after passing through an algorithm produces a hash result starting by X zeroes? What would be that hashing algorithm? the same hash used to sign the transaction record received? Thank you in advance! PS: Do you know any more good sources to read deeper about bitcoin mining? From book "ECONOMICS OF GOOD AND EVIL" : 'Currency is merely an expression of confidence, that owner will receive from acceptor services or items corresponding to the value printed on it. Both of them have to share this confidence.' If you have 10 dollars, you have nice piece of paper in galaxy far far away. You have to find someone, who believes in it's value. Unfortunately, this analogy is completely wrong. Hashing is a process of attesting to the rendering of useable value into thermodynamic waste. This function is what attests to 'stake' in a block. This stake is what the network uses to determine who spent the most on attesting to their truth. On the facts that you and you alone own your money (no banks), that you can send money directly without middlemen and that it is scarce and thus not prone to inflation / printing money. These things are valuable even if Bitcoin is just math and a concept. Hi David, I agree with you 100% and these are great and VALUABLE things. However, this alone does not put full value to Bitcoin directly. If you consider just these characteristics, than any of 700+ implementations would have the same, or similar, value as they all provide the same thing. I forgot to mention "being the first real cryptocash". This is also valuable. Hashing is for notarization and/or identity. While certainly both functions 'truncate' the corpus into a fixed field size, to suggest that this truncation alone is the goal, completely glosses over the economic complexity of this operation. As for politicians, I do not see how they fit into an analogy relating to notorization, identity, or even truncation. Very helpful explanation of the basics of bitcoin. Bitcoin is accepted globally, inflation free. Especially when inflation or regional chaos occur, bitcoin gradually is recognized as the way of storing value, as the same as gold. Not true, because they are not equally valued by people. Our perception of what has value plays a role if you want to create a mathematical equation which provides the value of any given item. So to quote the book Animal Farm out of context "All animals are equal, but some animals are more equal than others." You question is the same as someone asking "How does one 'earn' Euros? And how is it related to Dollars? And it has basically the same answer, although the mechanics of receiving the money would be slightly different. It is a currency with market based value, and one can earn it in the same way as any other currency by being paid in it for goods or services. You can also earn it by mining for it if you have the right equipment. In such a case your equipment layout, electricity cost, and cost of labour (time monitoring equipment, repairing and replacing equipment), would essentially attempt to earn you the Bitcoin which you set out to mine. And of course you could earn Bitcoin by trading in it (essentially buying and selling it for profit). This profit could likewise be held as Bitcoin or converted into a traditional currency. This was a very detailed article, really got to know a few more technical stuff this time. I would recommend you to add a few ways on buying Bitcoins or other cryptocurrency so that it can become a more detailed guide for a common man. You can surely add a link like https://coinscage.com/buy-bitcoin-with-debit-card/ where people can buy btc easily with their debit cards. I cannot help but wonder if you guys spent 25 years in college learning big words or what? I happen to be just a regular senior citizen who wants to understand how to buy and sell with Bitcoin. I understand how money works and is earned but this just seems like someone must be getting rich off of the people doing the actual work or supplying the actual products. Money has to be faith based on something physical. This is the problem with taking the federal reserve off of the gold standard, or silver certificate, etc... It eventually creates huge debt for the people using it. I just wish it was explainable in simple, working man terms like... Johnny delivered 200 newspapers and earned 10 cents for each paper delivered. He collected the money from his customers (who worked for their money also) and had to pay $180 to the newspaper company leaving him $20 to pay toward his bicycle that he is purchasing for $60. So Johnny had to perform real labor for 3 days while waiting for 5 days of work time to be paid $100 (if the customers all paid as agreed). This of course left Johnny with an additional $40 to purchase his baseball glove and blah, blah, blah... This makes sense to 99.99999% of the population. Can someone please explain in simple terms as this how crypto currency works, where to go and what to do step by step to start using this? Thank you to anyone who can make this more understandable. I don't believe this is a Ponzi scheme but even I can understand how a Ponzi scheme works! Can anyone explain this crypto currancy to a guy like me?I cannot help but wonder if you guys spent 25 years in college learning big words or what? I happen to be just a regular senior citizen who wants to understand how to buy and sell with Bitcoin. I understand how money works and is earned but this just seems like someone must be getting rich off of the people doing the actual work or supplying the actual products. Money has to be faith based on something physical. This is the problem with taking the federal reserve off of the gold standard, or silver certificate, etc... It eventually creates huge debt for the people using it. I just wish it was explainable in simple, working man terms like... Johnny delivered 200 newspapers and earned 10 cents for each paper delivered. He collected the money from his customers (who worked for their money also) and had to pay $180 to the newspaper company leaving him $20 to pay toward his bicycle that he is purchasing for $60. So Johnny had to perform real labor for 3 days while waiting for 5 days of work time to be paid $100 (if the customers all paid as agreed). This of course left Johnny with an additional $40 to purchase his baseball glove and blah, blah, blah... This makes sense to 99.99999% of the population. Can someone please explain in simple terms as this how crypto currency works, where to go and what to do step by step to start using this? Thank you to anyone who can make this more understandable. I don't believe this is a Ponzi scheme but even I can understand how a Ponzi scheme works! Demir, to understand the value of bitcoin. You must understand how the values of USD / EURO is derived. The money, fiat you have in your pocket is just a piece of computer code. Same is true with the bitcoins. Value is a physiological thing. Cryptocurrencies are a kind of alternative currency and digital currency . Cryptocurrencies use decentralized control as opposed to centralized digital currency and central banking systems. After Success of Bitoin & Ethereum, many big & small organisation or investors trying to launch their own currency in CryptoCurrency Market https://www.techaroha.com/how-to-launch-a-cryptocurrency/. There are several steps to launch crypto currency.